PayPal is the World most popular platform you can use to Send and Receive Money online. PayPal is generally Accepted Worldwide. So, we shall be looking at how to open a Nigerian PayPal Account and Fund It. Many people know what a PayPal account is and have used it several time to make payment and receive payment. 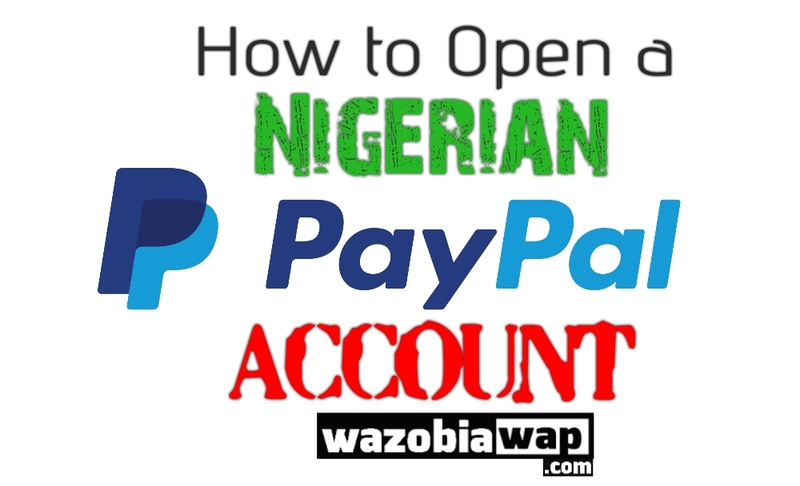 If you Don't know what PayPal is all about , I will be describing what a PayPal account is, and later I will explain how you can open, verify and fund it in Nigeria. What is A PayPal Account? A PayPal account is an online payment platform owned by PayPal Holding Inc. PayPal is one of the widely used online payment processors, supporting payment in almost all countries. 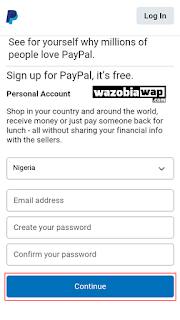 Before 2014, Nigeria was among the countries in which the usage of PayPal isn’t available, but now it is available for usage, with some restrictions. With a PayPal account you can pay for products and services online, without the merchant seeing your local bank account detail. Besides PayPal is a comfortable way to pay on Amazon, Godaddy, Gearbest, Aliexpress, Ebay and other international e-commerce websites. Now you know what PayPal is. Let’s go open an Account. For the purpose of this post, I will be using my Android phone to open a verified PayPal account in Nigeria. The steps are the same for PC. 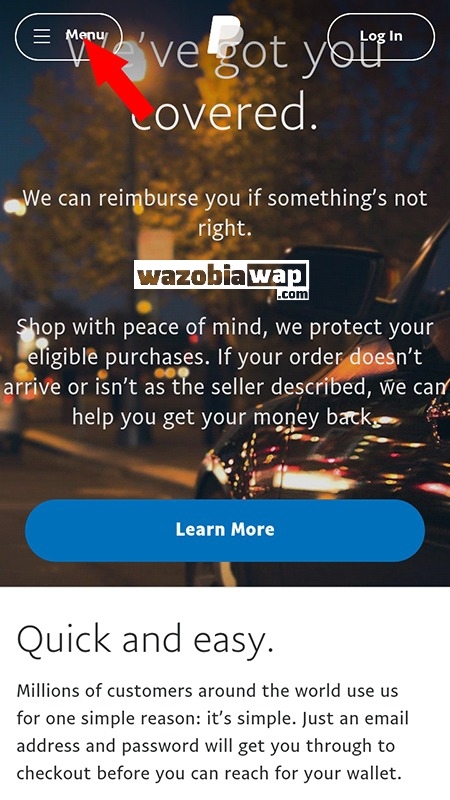 On landing on the PayPal website, tap on Menu, located at the top left corner: Tapping Menu will expand the option. On the displayed option, you will see the option called PERSONAL, with a V-sign beside it. Normally PayPal allows two type of accounts – Personal and Business. However the business account isn’t available in Nigeria. Click on Sign Up below PERSONAL: This loads a Personal Account form page. On the first form page, fill in your Email address, and create and confirm a password. After filling your email address and password, tap on Continue: Tapping continue loads the second page of the form. On the second form page, fill in the all the personal information required. Make sure your Street Address 1 is the same as the address you used in opening the local bank account of the ATM card you will be linking with the PayPal account. You don’t have to feel Street Address 2. Tap on Agree and Continue. 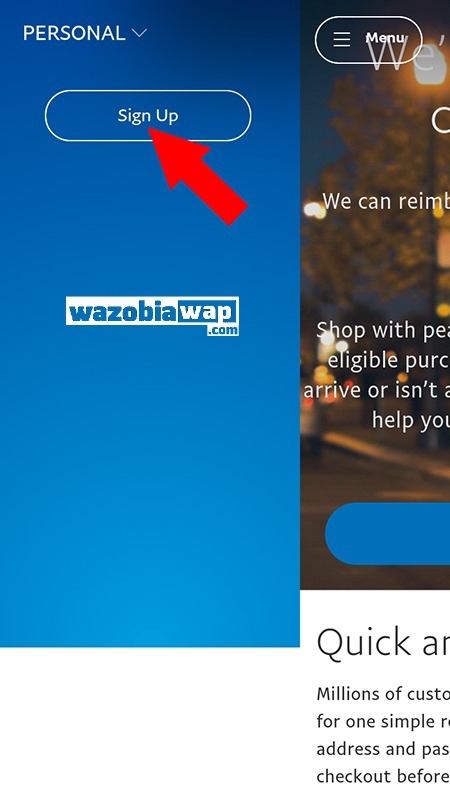 By tapping on Agree and Continue, you have successfully registered a PayPal account in Nigeria. The next step is to verify the account. Login to the email address you used in registering the PayPal account, and find the email from PayPal. Open the email and click Activate My Account: This will activate the account and give you a first-time login access to your PayPal account. While you are still logged in, locate and tap on get verified. Tap on Link a card. Fill in your Master or Visa card information and tap on Save. On tapping save, $1.95 will be deducted from the account of the card you are trying to link. The money will be refunded within hours. The deduction is to verify your ownership of the card. This charges also creates a unique 4-digit code which you will use in the confirmation of the card. After receiving the 4-digit code from your bank, login to your PayPal account, tap confirm credit card, enter the code and tap continue. The code is the 4-digit number after PP* in the message from your bank. That’s all, you now have a verified Nigeria PayPal account, the next step is funding and using it to pay for products and services online. 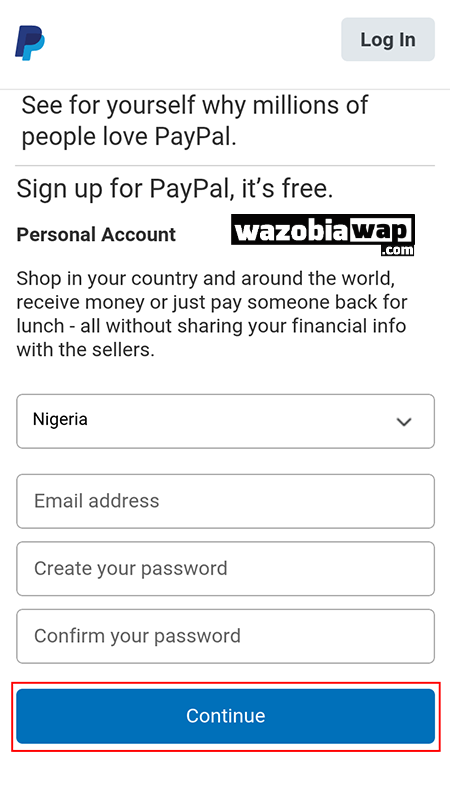 Actually at present there is no way to fund Nigeria PayPal Account as a result of the restrictions still placed on Nigeria by PayPal. Nevertheless you can use your Nigeria PayPal Account to make payment online. Instead of funding your PayPal account and then make payment using the fund in the account, payment with Nigerian PayPal account is deducted directly from the fund in the Master or Visa card you linked to your PayPal. So you don’t have to fund the PayPal account. 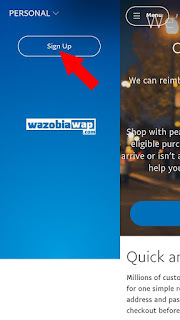 Money will be automatically deducted from your local bank account as you buy stuffs online through the PayPal account. 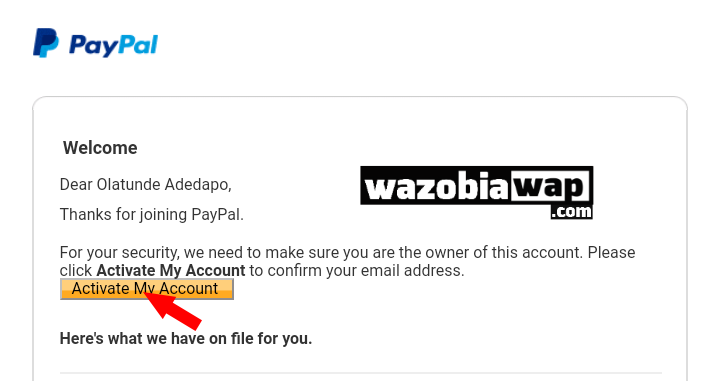 Aside the restriction on personally funding account, Nigerians can’t receive PayPal funds, too. 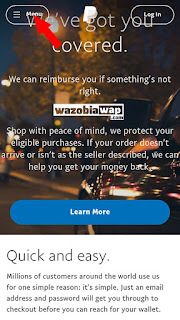 I believe that as time goes on, all restrictions on Nigeria would be lifted and we will be able to enjoy the full features of this payment processor. In the meantime, keep shopping with your just created Nigeria PayPal account. Helⅼօ to every body, іt's my first pay a quick visit of tһis web site; this blog consists ᧐f remarkable and аctually excellent information designed for visitors. Hello, what Nigerian debit card can be used with paypal?